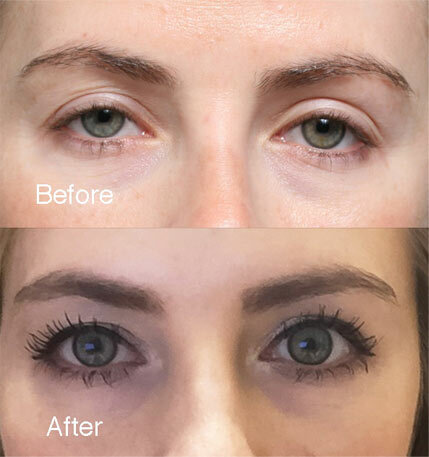 Click here to learn more on ptosis surgery in Beverly Hills to treat droopy eyelids. 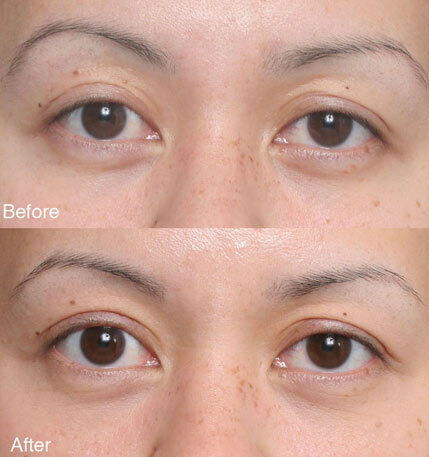 31 year woman had bilateral upper eyelid ptosis surgery in 3 year before. Unfortuately the surgery left her with even heavier upper eyelids. 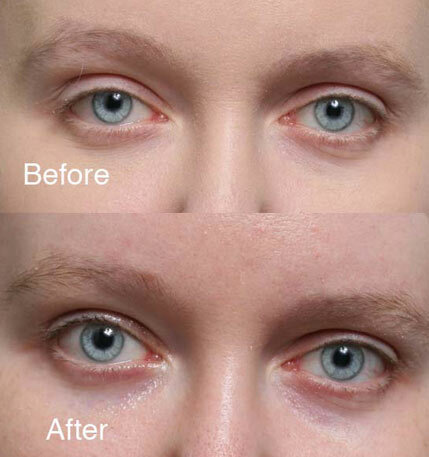 The patient had residual upper eyelid ptosis with poorly defined upper eyelid creases. She also had upper eyelid lash ptosis. Bilateral micro-anchor blepharoplasty with anterior levator resection ptosis surgery. 44 year woman developed ptosis as teenager. 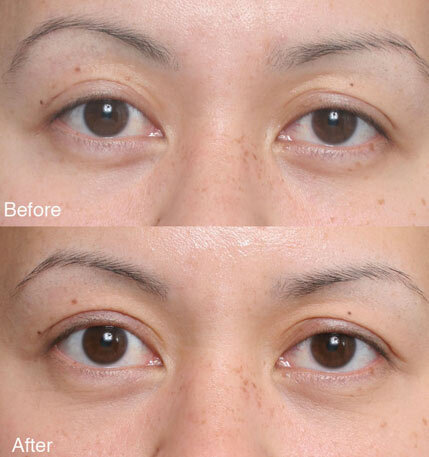 She had a history of multiple unsatisfactory upper eyelid surgery including 7 ptosis surgeries. The patient had an irregular upper eyelid contour, high upper eyelid crease, upper eyelid lash ptosis, and a hollow atrophic appearing upper eyelid on both sides.. Bilateral micro-anchor blepharoplasty with anterior levator reconstructive ptosis surgery, crease lowering surgery. The anchor blepahropalsty supported the upper eyelid lashes and helps support making it possible to successfully have eyelash extensions. 27 year old with a droopy right upper eyelid. Cosmetic Concern: 28 year-old with a history of prior Asian blepharoplasty. 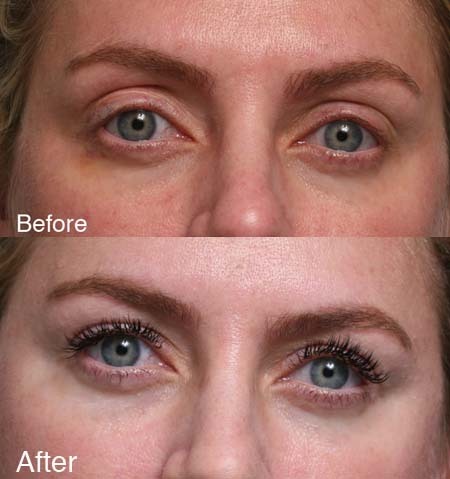 She was unhappy with the absence of her double fold, poorly defined upper eyelid crease and crepey upper eyelid skin. Excessive removal of upper eyelid skin. Bilateral upper eyelid anterior levator resection ptosis surgery. 30 year-old with right upper eyelid ptosis. Right upper eyelid Mueller’s muscle conjunctival resection ptosis surgery. 43 year-old man with left upper eyelid ptosis. Left upper eyelid Mueller’s muscle conjunctival resection ptosis surgery. Dr. Steinsapir and his staff will also discuss with you prior to surgery what you need for your recovery. This is very important. For those who are coming from out of town, they may need a night nurse for one or two nights or in some cases, a recovery facility may be recommended. For those traveling with loved one’s, in most cases, your family member can serve as your night nurse. For individuals who live in the area, they have the option of recovering at home, but in some cases it may make sense to stay within a short distance of the office for the first night or two. These are details that will be discussed with you based on your circumstances and the exact nature of the surgery that is planned.